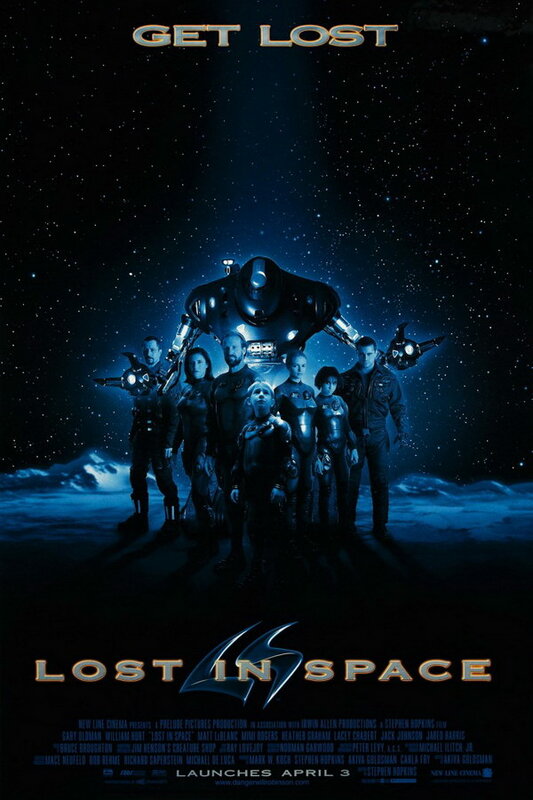 Lost in Space font here refers to the font used in the poster of Lost in Space, which is a 1998 American science fiction movie that focuses on the Robinson family who undertake a voyage to a nearby star system to begin emigration from a soon-to-be uninhabitable Earth. The font used for the movie title in the poster is probably Copperplate Gothic 33 BC originally designed by Frederic W. Goudy in the early 1900s for American Type Founders. Copperplate Gothic is characterized by very small and fine serifs. You can view more details about it here. In addition to Lost in Space, Copperplate Gothic typeface is also used in the following logos, movie posters or album covers etc., including: Universal Orlando, Moleskine, New Beginning, Cold Tracker, Seabiscuit, Hyde Park on Hudson, Death Rally, Fear Factory, Falling in Reverse, The Piano, GCB, Tru Calling, North & South, Midnight Texas, Jane Got a Gun.